Bed bugs were first recorded in England in 1583. 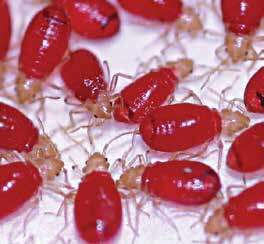 In 1939 approximately four million people in Greater London were subject to Bed bug infestations. Bed bug infestations declined from 1939 onwards, most likely due to the introduction of residual insecticides. One survey showed that the number of Bed bug treatments remained approximately stationary from the late 1960’s to the early 1970’s.